Heaters could spray hot oil which could burn you. 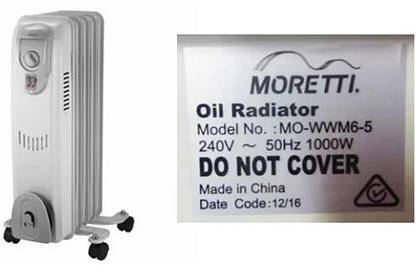 A number of customers have reported the Moretti 5 Fin and 11 Fin Oil Column Heaters leaking and spraying hot oil. Testing by suppliers suggests an incorrect specification of oil may have been used in some of the heaters. 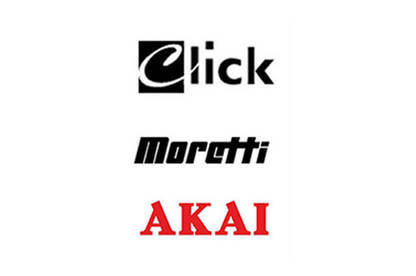 The Moretti, Click and Akai oil column heaters listed below are affected by the recall. They were sold by Bunnings from 1 January 2017 to April 2017. The model number and batch code are marked on the rating label which is located on the front panel of the heater. Stop using the heater immediately and return it to your nearest Bunnings store as soon as possible for a full refund. For further information, contact Bunnings on 0800 561 109.